A family home since 1830, Regaleali is made up of 387 hectares of vineyards, 30 hectares of olive groves, 35 hectares of farmland and 30 hectares for grazing. “Regaleali is the symbol of a blood bond between nature and Tasca d’Almerita; they share intertwining histories that could not exist without the other,” stated on their website. There’s a respect for Mother Nature and they follow her pace. What’s on the back of the wine? 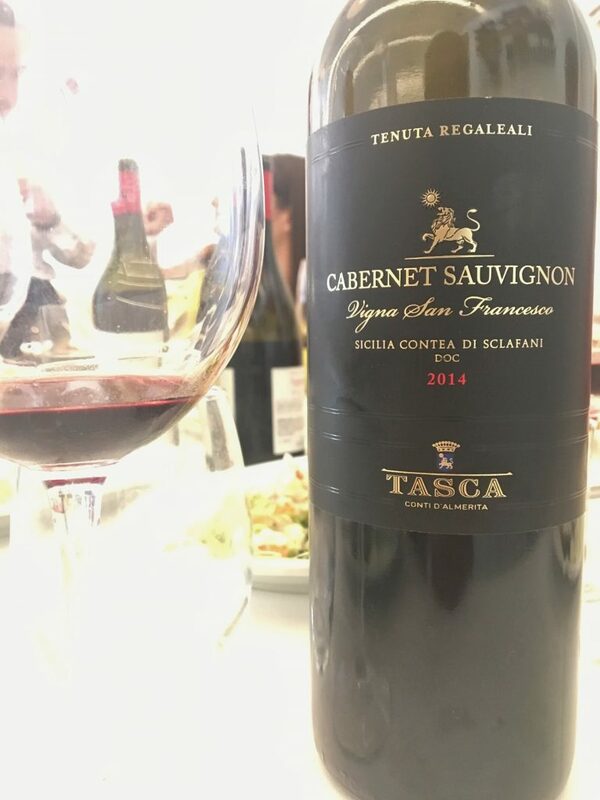 There’s a little symbol called SOStain– SOS is short for “Save Our Souls.” As Corrado explains, “sustainability” is not a selling point, it’s Tasca d’Almerita’s commitment to the land. If you’re curious you can read more on their website. 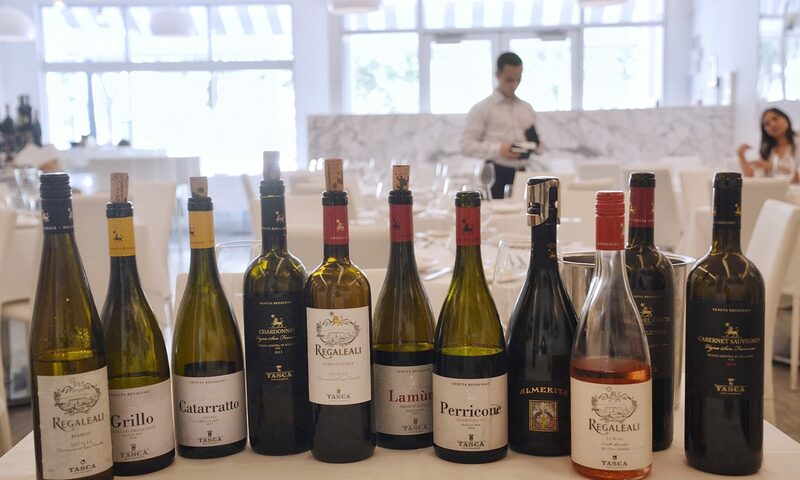 We tasted eleven wines paired with some delectable selections from Il Mulino’s menu. (More on the food later!) 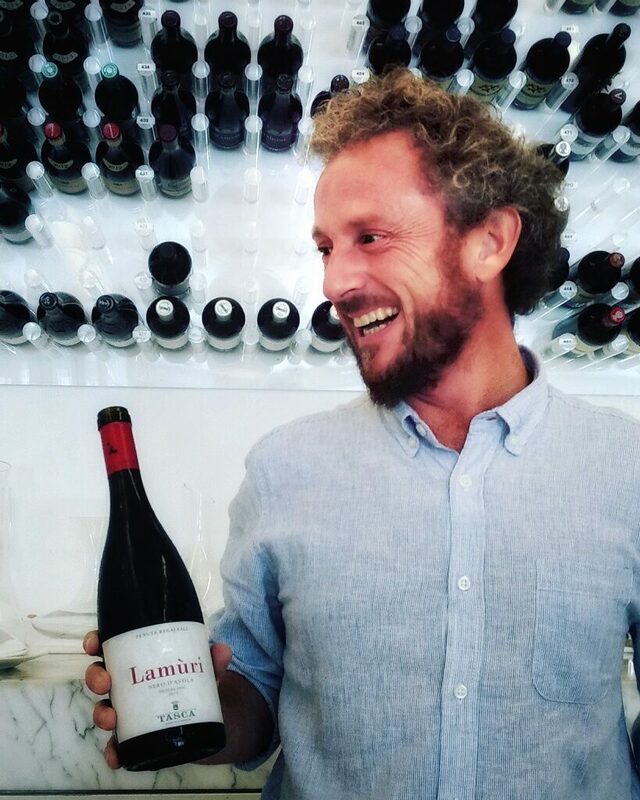 You can read about each wine on their website, but my favorites were: Almerita, Regaleali Bianco; Grillo, Nero d’Avola; Lamùri, Perricone and the Cabernet Sauvignon. 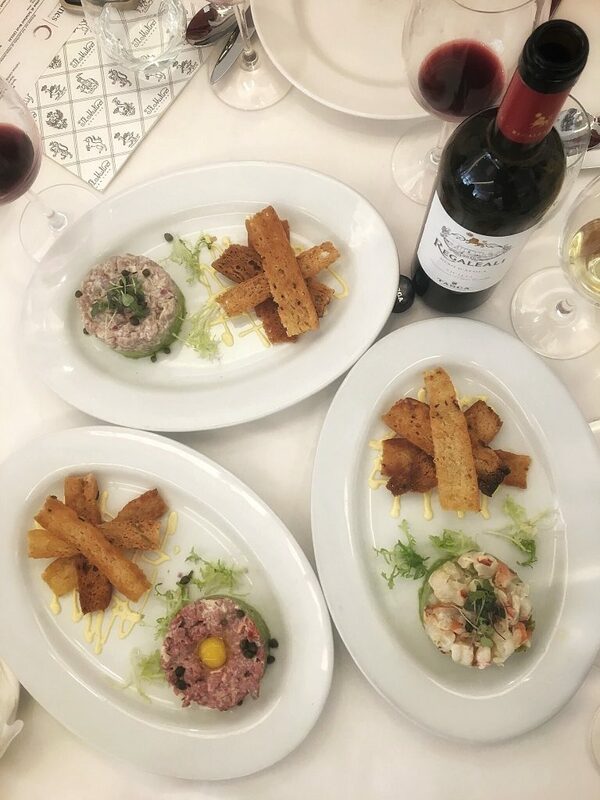 I’d say that all of the wines could be enjoyed on their own, but thanks to the wine and food experts at the table, the pairings were harmonious. Not Sicily, but South Beach where the sun floods into Il Mulino’s palette of white on white with subtle splashes of red and hints of black. From the art to the light fixtures and marble bar, the décor sets the mood for a culinary voyage! We tried: Burrata; Tuna Tartare, Steak Tartare, Shrimp Tartare, Vongole Oreganata; Cacio e Pepe; Ravioli ai Porcini; mussels and steak. Because we sampled from all menus including Miami Spice and the specials, I have missed a couple of the proper menu names and may have skipped a couple of dishes too! My style is family style, so the lunch couldn’t have been more perfect! I love to sit down with wine experts. There’s a communal sense of joy about food, wine and sharing. I’m always worried that I don’t have enough knowledge to keep up with the conversation, but today this was not the case. Thanks to the lovely ladies from the Stacole Fine Wines/ Winebow Group and Corrado for the tasty lesson, as well as Stefano from Wine by the Bay, for the invitation. Until next time, inhale deeply into your glass, taste with thought and resign to your senses! Previous PostPrevious Home Decor Wishes Come True at the Fort Lauderdale Home Show with TV Personality, Linda Phan & More!